A Gazprom representative announced that the Company is planning to correlate costs of its supplies carbon fuel not with oil prices but with the cost of alternative electrical energy. Gasprom Deputy Chairman Alexander Medvedev informed that the Company intends to change the pricing system for long-term contracts for gas supplies, RBC daily reported. 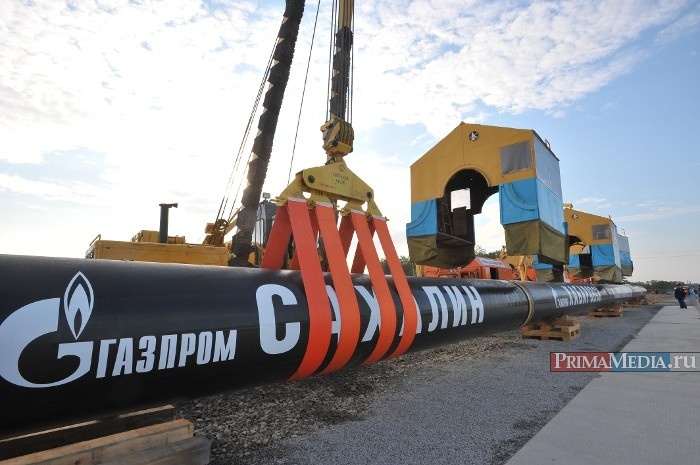 The Gazprom Representative informed that the Russian gas monopolist is ready to tie up prices not to the traditional oil, but to renewable energy. The Gasprom acknowledged that the time has come to improve the pricing system for the carbonic fuel. Corporations’ European clients have been demanding to reconsider the long-term contracts for gas supplies. In the recent time, when the oil prices were going up, and the gap between spot market quotations and the actual contracts’ was nearing to $135, companies had suffered losses due to forced resale of the Russian gas for lower prices. "The novelty of the approach is that in the future we could choose not a depletable but renewable energy source as an alternative energy resource,” Alexander Medvedev announced in his presentation at the World Gas Congress. In other words, renewable energy or derived on its basis energy prices could become alternatives to oil. We believe that contracts based on the prices of alternative energy could be adapted for the industry’s sustainable development in the best way.” They did not explain in Gasprom, which exactly type of renewable energy they had in mind. According to Medvedev, they were talking about modification of the existing pricing model, i.e., so-called Holland or Groningen model which had appeared back in the 1970s, when the Netherlands started to export gas from the Groningen deposit. The model was based on tying the gas prices to the cost of its replacement, i.e., the cost of an alternative for the customer type of energy. As such could be used oil products (most often, these are diesel fuel and fuel oil), oil, coal, and also electric energy and gas market quotations. Gasprom correlates its prices in the present formula with the oil product basket, and, moreover, with the time lag from 6 to 9 months. Experts believe that correlation with renewable energy will be profitable for Gasprom. As the matter of fact, so far this energy is more expensive than the one produced by traditional sources,” Director of the Gas Market Sector of the Russian Energy and Finance Institute Vladimir Revenkov said. While these intentions of the Russian gas monopolist are far from the interest of renewable energy development and are caused by its strive to increase its own revenues, in the global perspective, this step does correspond to the global trends of enhancing energy sustainability and gradual abandonment of fossil sources exploitation and transfer to ecological energy alternatives. Even this, quite formal so far, turn to the renewable energy brings it out of the “marginal” zone where it has remained until now in Russia.